Hidden details and colours of corals from the Great Barrier Reef. No color alteration or, aside from focus stacking, digital embellishment performed beyond those standard in nature/wildlife photography. Read more about fluorescence on our websites. Zoanthid polyps in contracted state. 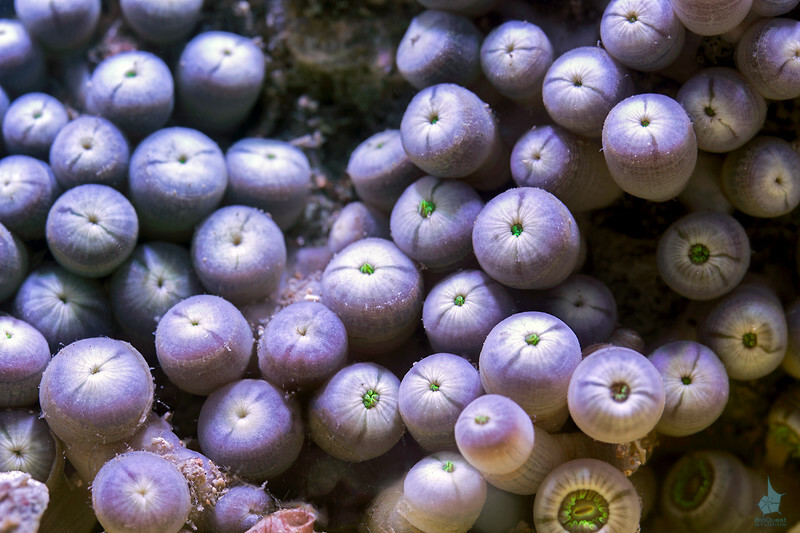 While individual polyps can open up or contract into compact cylindrical structures independently, the colony responds to stressors as a whole. In this instance a touch of a crab was enough for all polyps to close.